Dr John Besford is a Harley Street dentist and author of Good Mouthkeeping, Or, How to Save Your Children's Teeth, and Your Own Too While You're About It, published by Oxford University Press (1984). 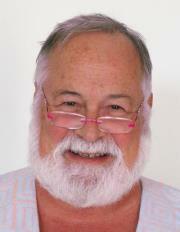 Dr Besford qualified as a dentist in 1964 at Manchester University (UK), having acquired a love for denture prosthetics. After obtaining a PhD in Bacteriology in 1970, he returned to dentistry to teach removable dental prosthetics full-time at London University, and in 1987 opened a referral practice limited to removable and implant prosthodontics. He now divides his time between his specialist practice and freelance postgraduate teaching around the world. Besides restoring functional dentitions, one of Dr Besford’s goals in working with patients who have suffered major tooth removal is to rekindle their feelings of attractiveness and self-esteem, usually by painstakingly recreating their own individual dental appearances using photographic and other personal records. This returns them to a state of ‘prosthodontic privacy’ in which the prosthesis is undetectable to any observer and thus kept a secret. Dr Besford co-designed the Enigma Denture Teeth and Denture System, which won a Queen’s Award for Enterprise in the Innovation category in 2004. Read more at the Scandinavian Academy of Esthetic Dentistry web site. 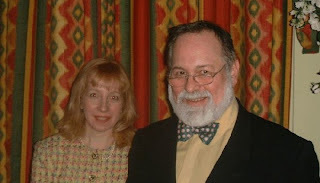 Pictured are Dr John Besford, and his dental nurse, Ruth Pessok on Friday, 23rd March 2001, at the Headland Hotel, Newquay, at the meeting of the Cornwall Independent Dental Practitioners. This site is not affiliated to Dr John Besford. Dr Besford's contact details can be found online at sites such as Google+ Local or the Harley Street Guide. I recommend my dentist in every regard. I have had several veneers put on that still look like they did when I first got them approximately 12 years ago! Thanks a lot Dr John Besford because you have posted very important info which we need to know everyone for staying with best and strong teeth without any dental pain.